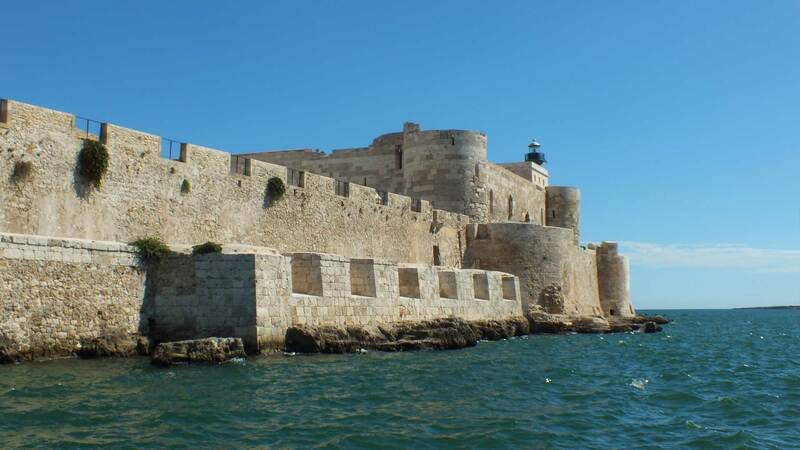 Ortigia: 2750 years of history of an island within the Island. There’s no better way to appreciate it than from a boat. 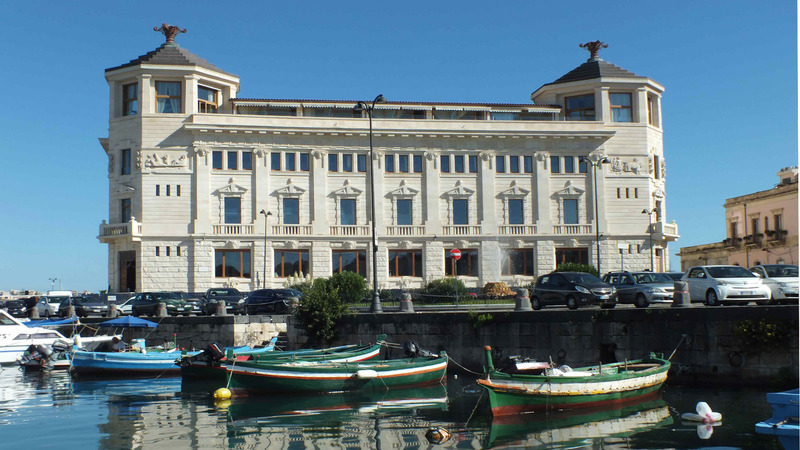 Be enchanted by this city, a boat tour in Siracusa is an experience that you can’t miss. Come with us: in our tour you will admire Ortigia from a different point of view, the sea view! Join our shore excursion: in our guided visit of the center you will appreciate the same historical buildings that you will see from the boat. Spanish walls, Maniace Castle, Jewish Quarter, Aretusa Source, all this will flow in front of you like a movie, with breathtaking views that will stay forever in your memories. 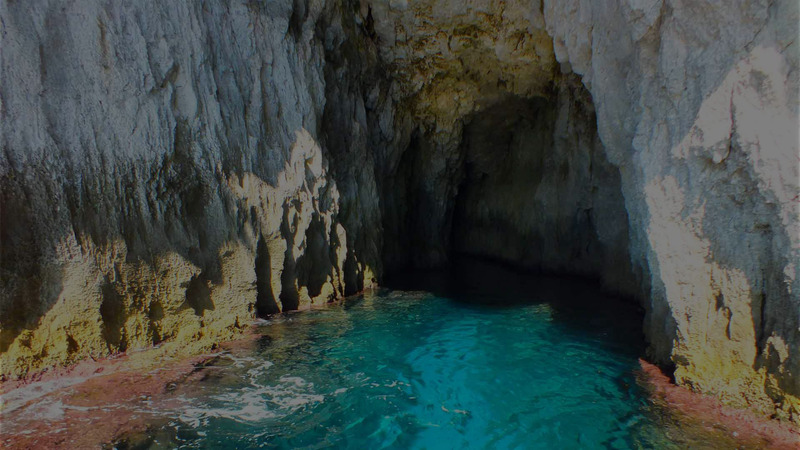 Still, our boat tour can give you much more than this, you just can’t leave if you haven’t seen the sea caves! We will go into the caves with the boat to see stalactites, stalagmites, corals but above all we will move in a crystal sea and you will be surrounded by all shades of light blue and emerald green. Do you fancy a jump into the deep blue? Sure, if you wish, we will stop for a swim. You will be so overwhelmed by emotions that you will look forward to come back. 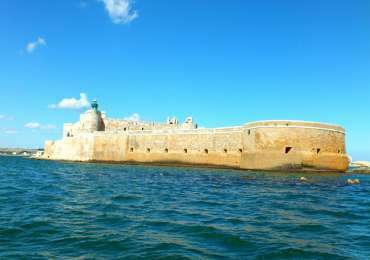 A boat tour with guided visit is a funny and relaxing way to appreciate Siracusa island (Ortigia) and the coast with a friendly and professionally certified skipper. Discover amazing views of the harbor and the island, Venetian Palace, small harbour, Spanish walls, Maniace Castle, Jewish Quarter. You will see the Cathedral, St. Lucy’s Church, Aretusa Source, Sea Door. 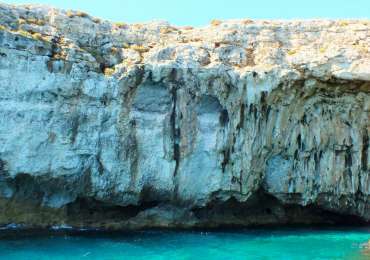 Be surrounded by all shades of blue when admiring the coast with its vertical cliffs as you will approach the sea caves. 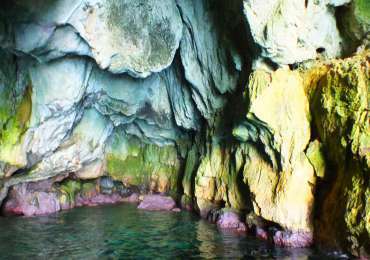 Live a breathtaking experience when exploring the Lovers cave, Doves Cave, Dyonisus Ear Cave to see coral flowers, stalactites and stalagmites. Have fun to recognize a dolphin or a heart in caves’ shapes and sea rocks. Enjoy a swim in turquoise waters of Syracuse coast. Birthday party or special celebration with your friends?